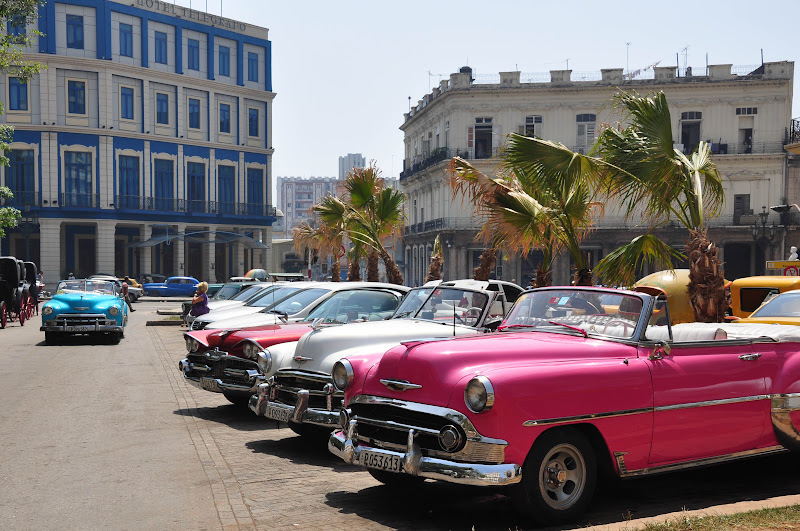 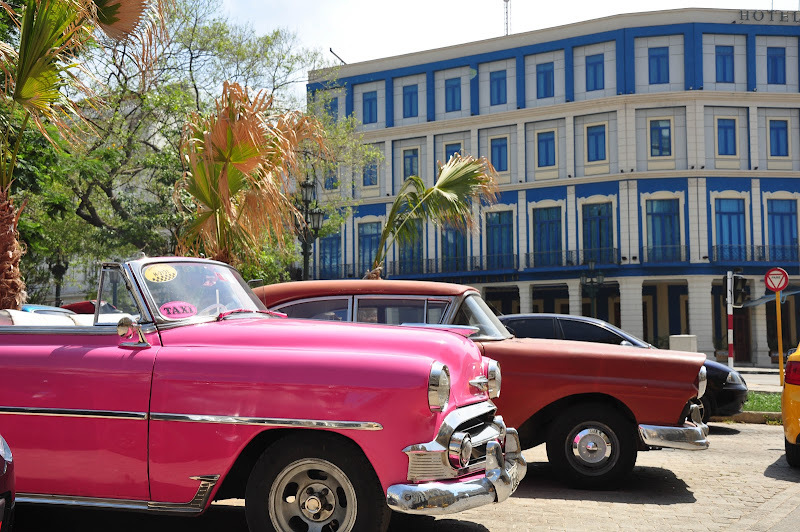 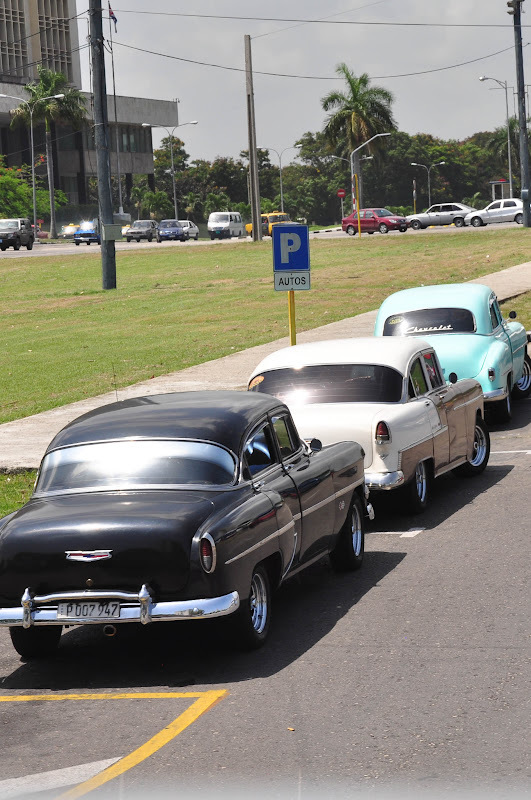 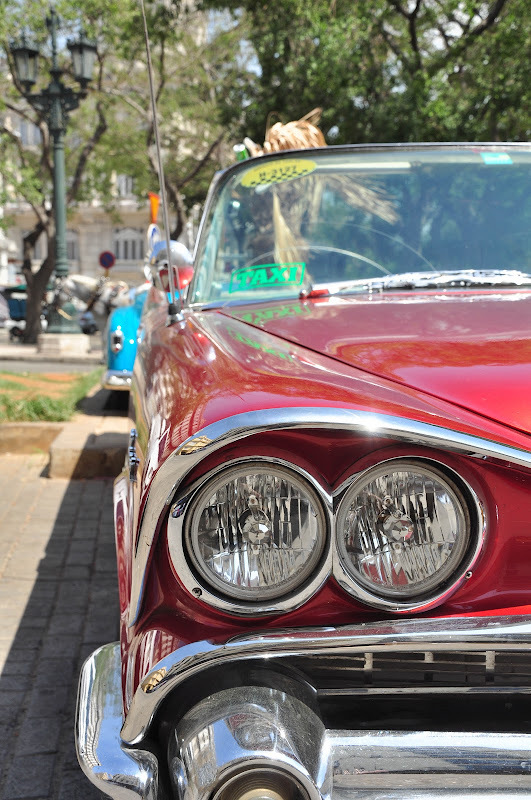 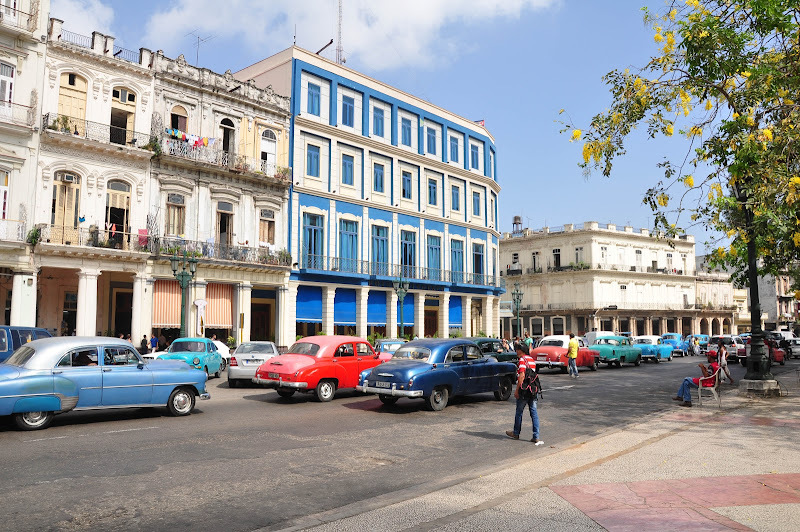 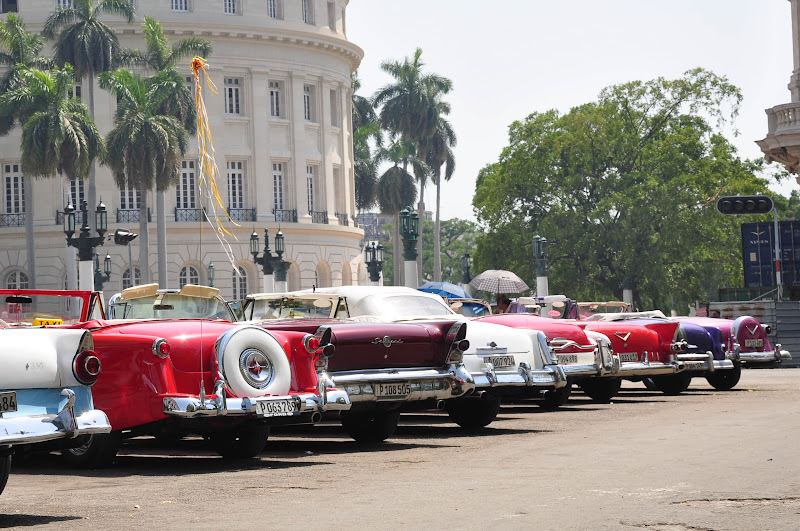 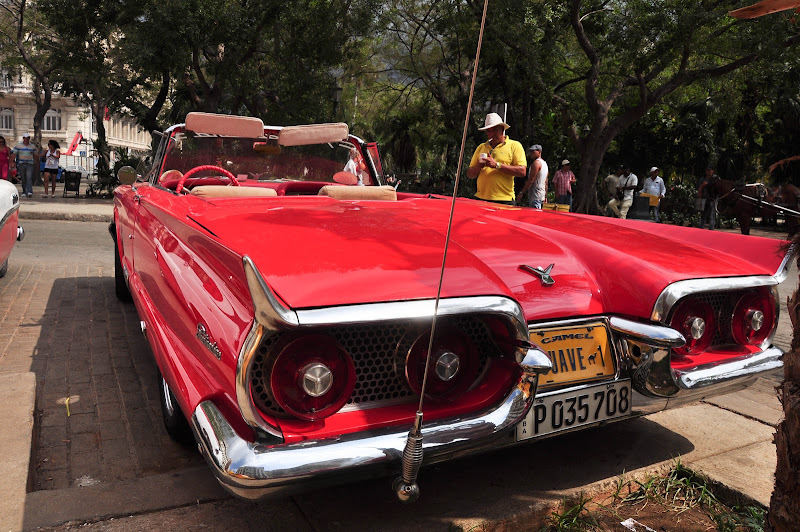 It is estimated that around 60,000 vintage American cars have survived, as if in a time warp, in Cuba. 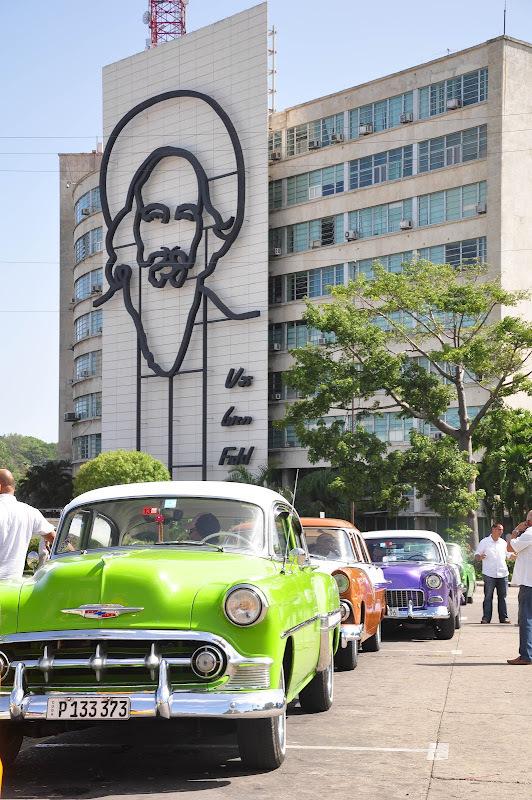 When Fidel Castro came to power in 1959, he made it illegal for anyone to import cars without government permission. 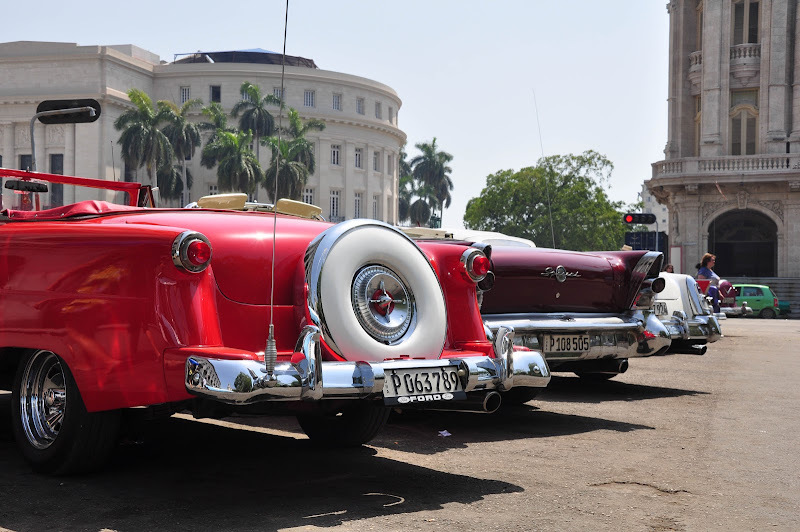 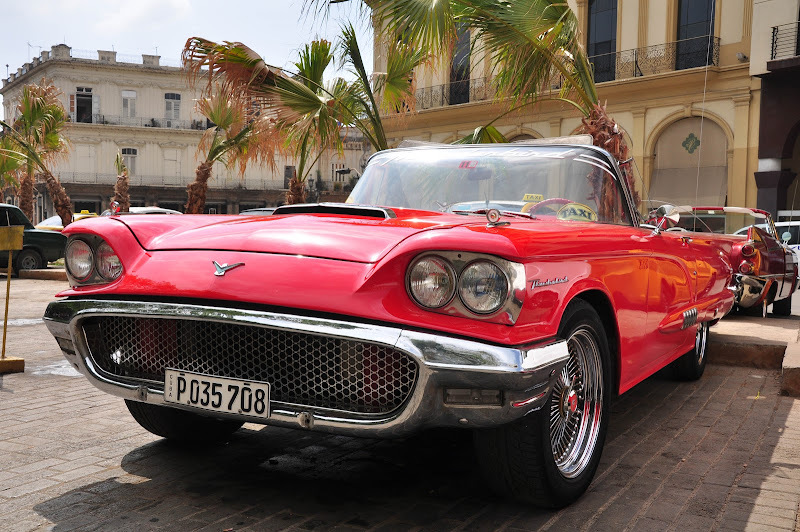 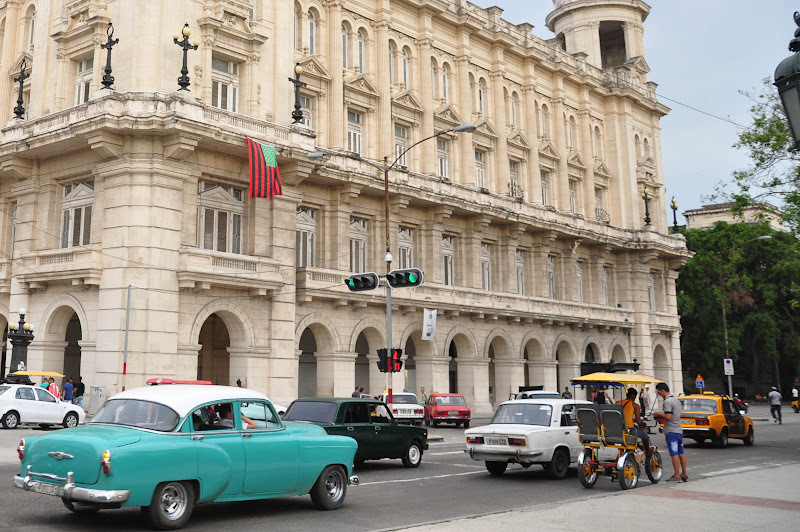 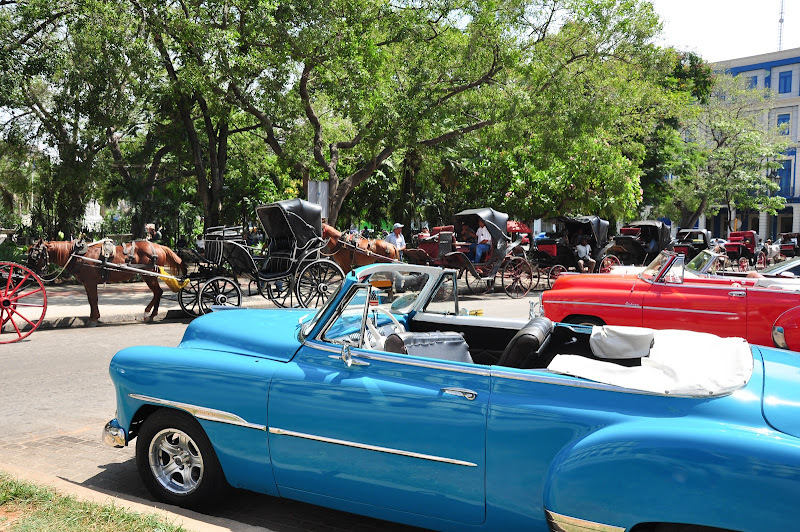 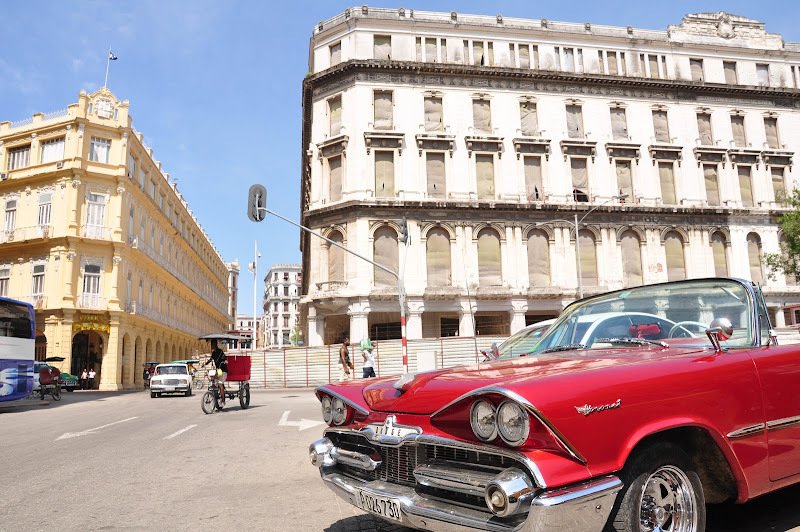 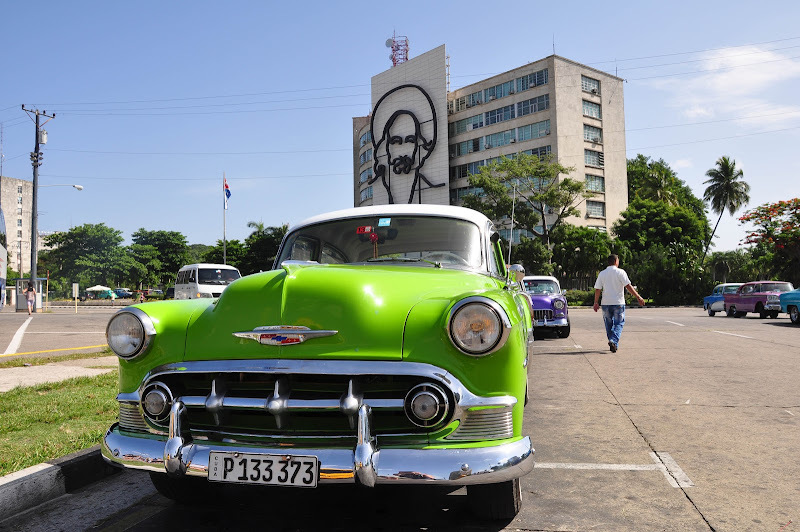 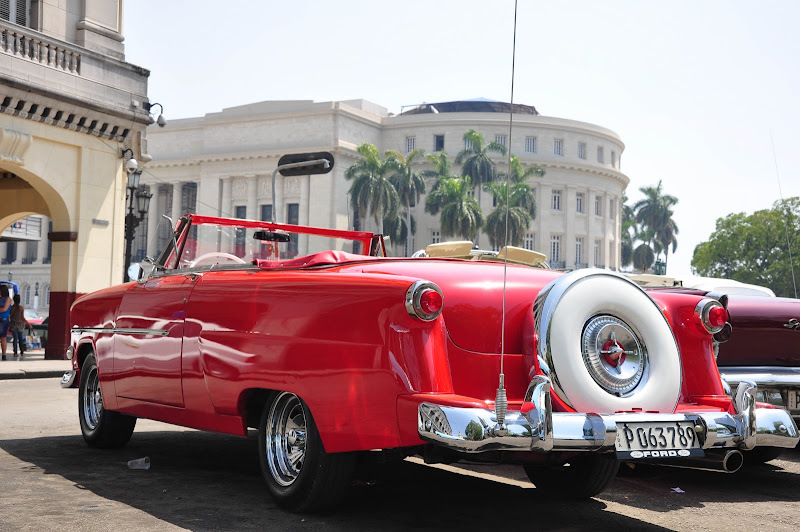 Cuba and the United States severed diplomatic ties after the revolution, when the tail fin was still a recent innovation in automotive design. 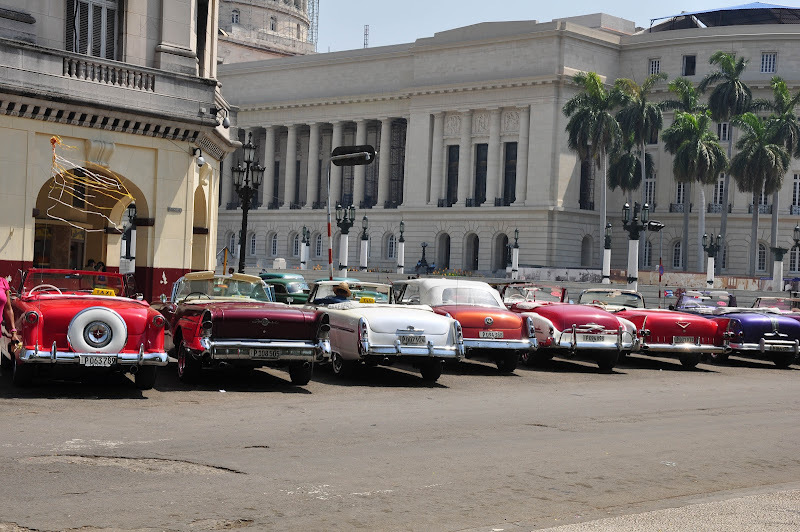 The U.S. embargo that took effect in 1961 stopped the flow of new cars. 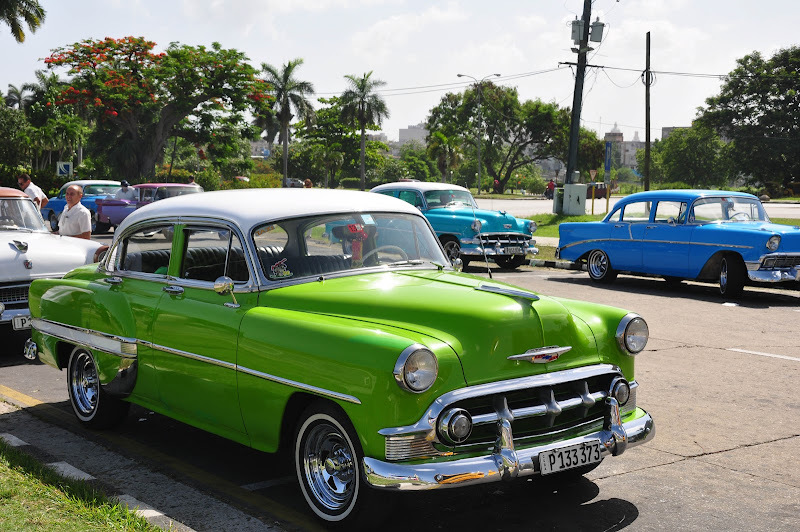 Under Cuba's one-party system, the new car market is tightly regulated and a brand new sedan costs upwards of $200,000. 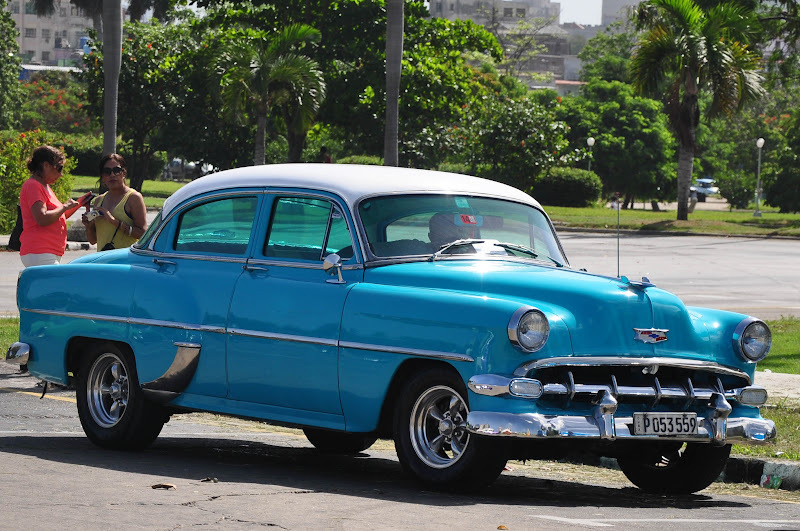 For decades, only pre-revolutionary vehicles could be bought and sold freely, which is why so many have stayed on the road. 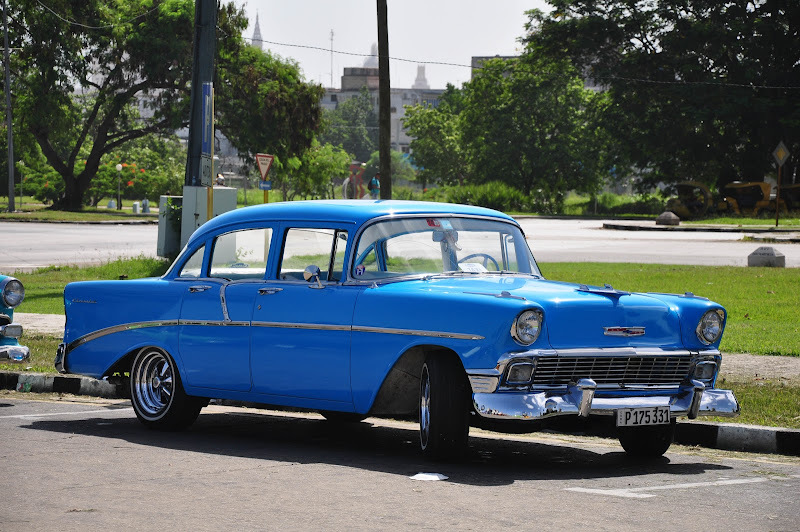 The early 1950s Chevys seem to be the most common, though there are Fords, Buicks, DeSotos, Plymouths and Oldsmobiles. 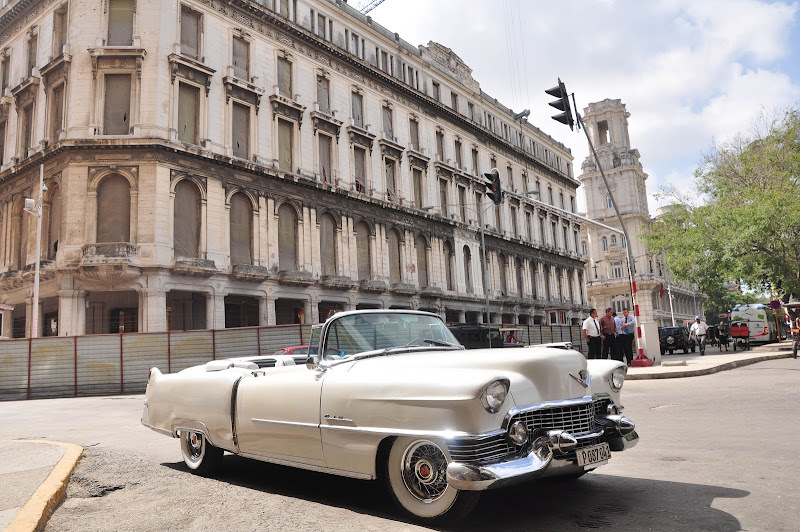 Occasionally a gigantic late '40s or early '50s Cadillac can be spotted.